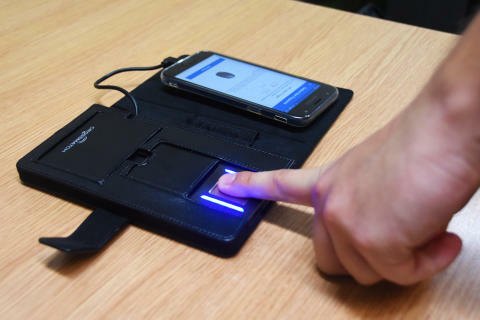 The Metropolitan Police Service has become the first British police force to develop its own mobile fingerprint device in a move that will save both officer time and public money. 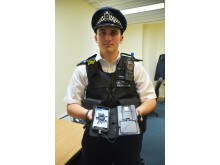 Although similar technology has been used by the Met and other forces since 2012, the new kit is cheaper which allows six times as many devices to be deployed - 600 devices will now be rolled out to frontline officers across London in the next six months. 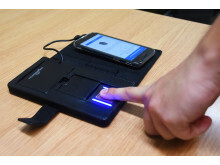 The portable device comprises of software produced by Met staff, used on an Android smartphone handset and paired with a Crossmatch fingerprint reader. 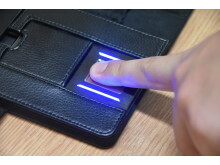 The device securely communicates with the Home Office developed Biometric Services Gateway (BSG), which searches the Criminal Records Office and immigration enforcement databases. Met officers and staff took the innovative step of developing their own product and software when it became clear that doing so could significantly increase the number of devices (fewer than 100 in recent years) at a much reduced cost. INK will save an estimated £200,000 in support costs per annum. 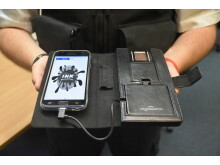 “I am very proud we have become the first British police force to develop our own device. With the money we are saving, we are now able to provide more devices to more officers than ever before, saving them the time and inconvenience of either waiting for a biometric device to arrive or taking the suspect into custody." Be a part of an exciting new wave of technology that will help us to fight crime in our communities - the Met is recruiting police officers now, visit: www.met.police.uk/car/careers/met/police-officer-roles/ to find out how you could start your career in policing. Police were called at approximately 2150 hours on Thursday, 26 July to a report of a naked man running in the road, jumping on vehicles while self-harming with a razor blade outside Bayswater underground station on Queensway W9. The man aged 36 had no ID or personal belongings and gave the officers incorrect details. He was taken to the hospital where officers’ fingerprinted the man using the INK device. In spite of having slightly cut index fingers on both hands from self-harming, the device successfully and quickly, provided his details. The data that came back from the fingerprint scans included a photograph and descriptions of his tattoos that helped officers to identify the man. It became apparent that he was under a mental health order and had absconded from a mental health facility. The swift information provided by the device further highlighted additional health concerns that were very useful for the officers and staff at the hospital, who were treating him. The man was eventually returned to the facility. Police had reason to stop a dark VW Golf at approximately 1345 hrs on Tuesday, 31 July on Brixton Road in Lambeth. Initially the two occupants gave false identification details, so officers used the INK fingerprint device at the scene. This swiftly returned positive identifications for both as wanted and due to the information received, resulted in the two males being arrested. The first suspect, aged 25, was arrested for possession of an offensive weapon, burglary, going equipped to steal, handling stolen good and possession with intent to supply drugs. The second suspect aged, 23 was arrested for possession of an offensive weapon, going equipped to steal and burglary. In addition, a lock knife was found in the vehicle along with a balaclava and stolen moped keys. While in custody, a further search carried out by the officers found a watch valued at £3000 concealed in the first suspect’s underwear. The two suspects have since been released under investigation pending the analysis of the drugs.